Aretha Franklin, the legendary "Queen of Soul" and one of the most acclaimed vocalists of all time, is reportedly "gravely ill" in a Detroit-area hospital. Word about the serious medical condition of the Rock and Roll Hall of Famer, known for such classic songs as (You Make Me Feel Like) A Natural Woman, Think and Respect, has spread after a report came out from Roger Friedman's Showbiz 411. 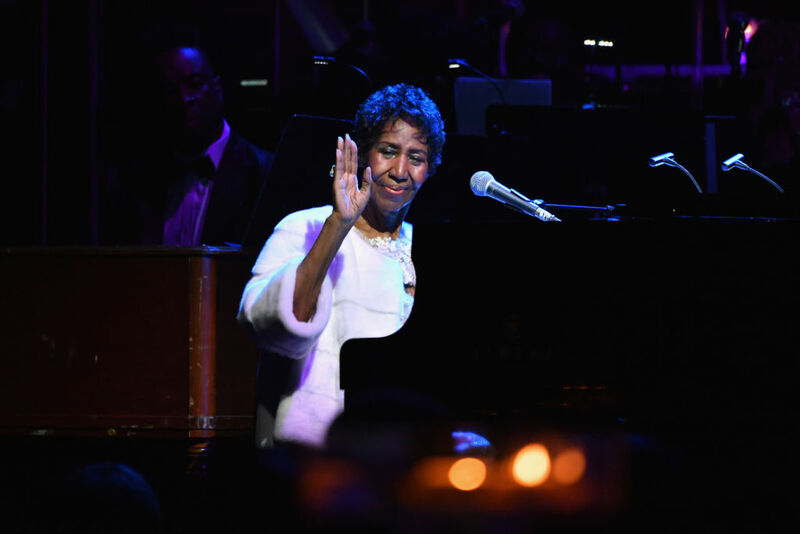 "This is exclusive, and heart-breaking for me and for the family and friends of the great Aretha Franklin. She is gravely ill in Detroit," Friedman wrote. "The family is asking for prayers and privacy." Franklin's family, as well as others close to her, are reportedly at the hospital with the singer. It's unclear at this time what exactly might have led to the hospitalisation of the 76-year-old from Memphis. Yet, the star has had a number of health concerns, including reportedly being diagnosed with cancer in 2010. "Franklin has been battling numerous health problems for years and had to cancel a series of concerts last summer citing 'doctor's orders,' " according to a report by BET. "Her latest performance was on November 2 of last year for the Elton John AIDS Foundation in New York." Franklin also suffered from a severe fear of flying, which factored into why she toured so infrequently in recent decades. And a Franklin gig has been a real rarity in these parts over the last half century or so. Indeed, she'd play a 1976 show at the old Circle Star Theater in San Carlos and then wait 39 years to return to the Bay Area for a 2015 gig at Oracle Arena in Oakland. We spoke to Franklin in advance of the latter date and she used the occasion to reminisce about her previous visit to Oakland when she "appeared with my father (preacher and civil rights activist C.L. Franklin) in one of the city arenas there. I was about 17 and preceded him, singing gospel prior to his sermon. That's my oldest, fondest memory of Oakland." The 18-time Grammy winner is one of the best-selling artists of all time and was inducted into the Rock and Roll Hall of Fame in 1987. She has sold some 75 million albums around the globe during her highly decorated career.